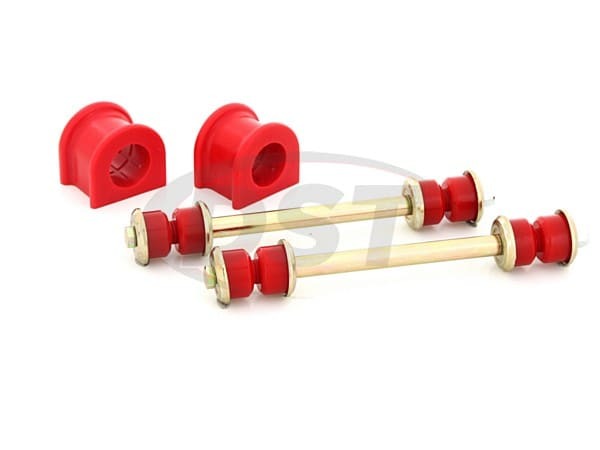 These 34mm Polyurethane Front Sway Bar Bushings and Endlinks from Energy Suspension will replace the worn down original rubber bushings on your '98-'01 Ford Explorer. This secures the connection between the front wheels resulting in better traction during a turn, more even tire wear, and a steady wheel alignment. What's Holding Your Sway Bar? 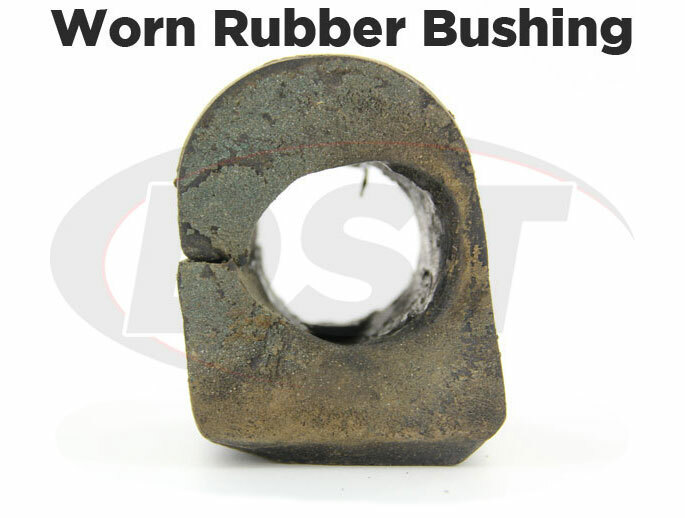 The stock front sway bar bushings on your Ford Explorer are made of rubber and are good at absorbing vibration, but the sway bar does not pass vibration to the driver.  This means the softness of rubber doesn't really do you any favors. 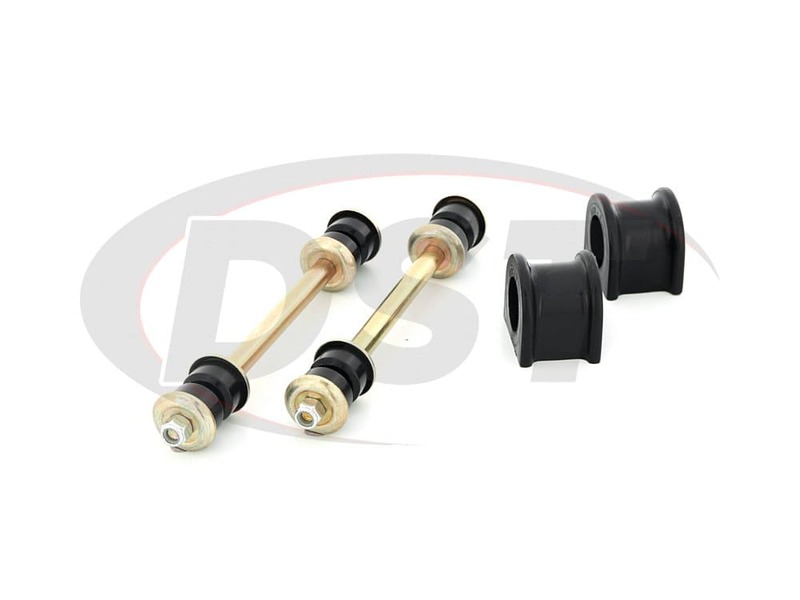 In fact, rubber bushings can allow your sway bar to move around reducing its ability to connect your front wheels and this can mean more body roll and less traction from the front during a turn. If you're driving around in a pasture here in Stephenville, TX and notice a new calf in the tall grass too late, is this what you want to depend on to cut down on body roll in a hard fast turn? 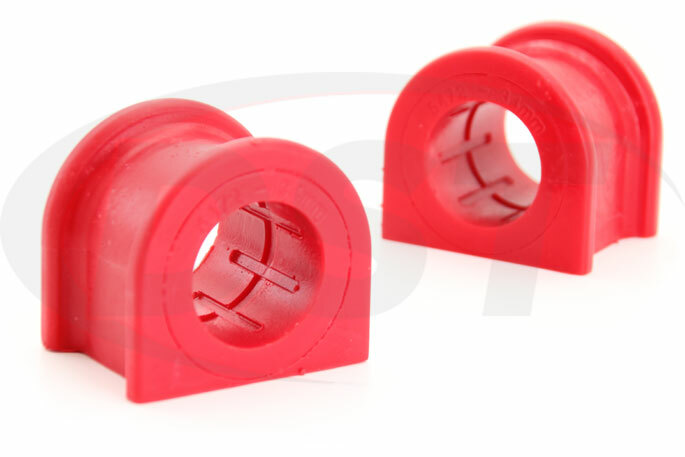 Energy Suspension's 34mm Front Sway Bar Bushings are made with Hyperflex Polyurethane and grip the front sway bar of your Ford Explorer much more securely than rubber. 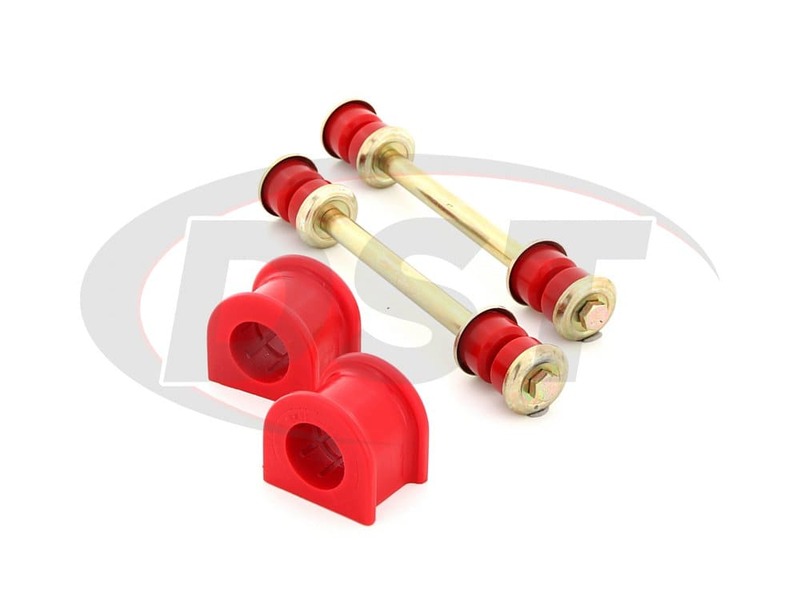 So much so, that the body roll reduction your stock sway bar will be capable of with these bushings will equal what a larger, more expensive aftermarket sway bar would provide. The biggest complaints about polyurethane bushings are that they squeak and increase the harshness of the ride. 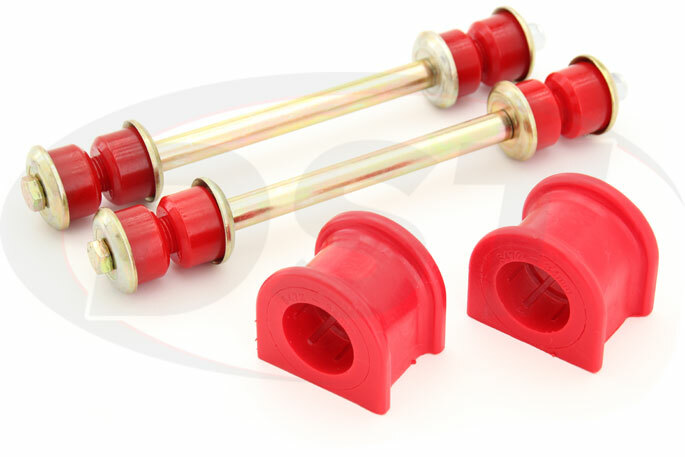 The squeaking is handled by applying the grease that comes included with the kit, but the issue of harshness does not apply at all to the sway bar bushings or endlinks. These parts do not actually support vehicle weight and no vibration is transferred from the road to the driver. These bushings also last a lot longer than rubber. The road grime, heat, and wear that will degrade the original rubber bushings are brushed off by polyurethane. 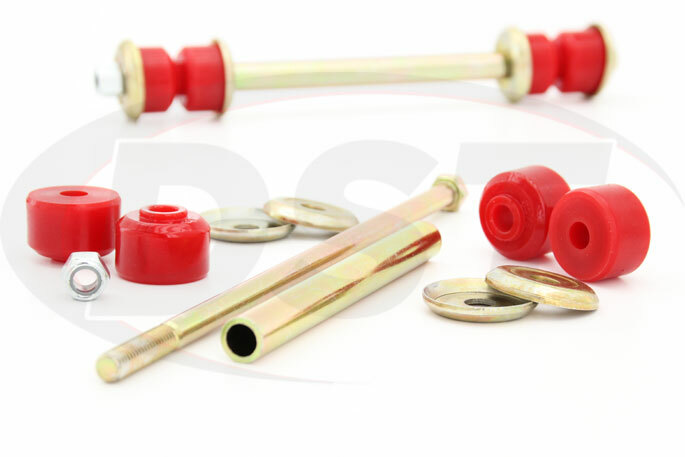 Energy Suspension Front Sway Bar Endlinks are made with polyurethane grommets that will hold up against weather and time while the Zinc plated hardware protects against rust. 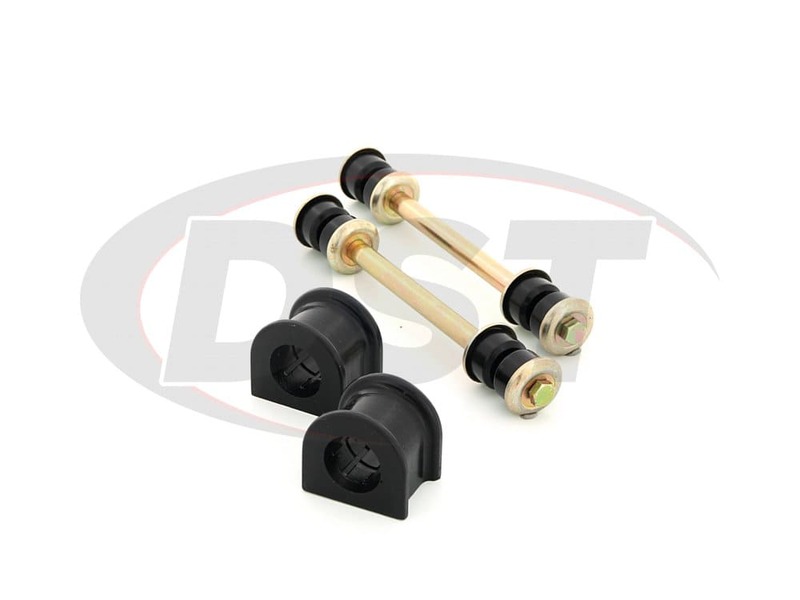 We here at DST know both the sway bar bushings and the endlinks are built to last, so we cover them our exclusive lifetime warranty. 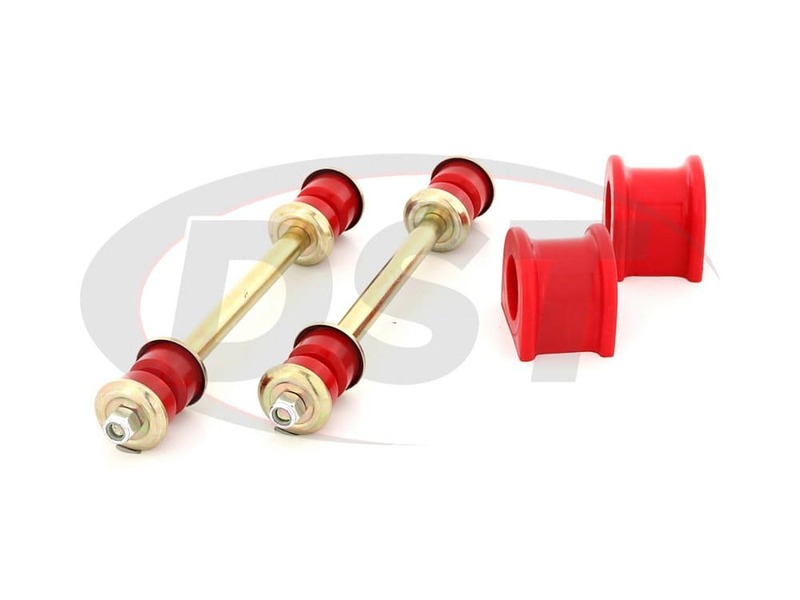 These 34mm Sway Bar Bushings and Endlinks will keep your Explorer's front wheels aligned during a turn but they can only help so much if the Front Control Arms are being held by worn rubber bushings. 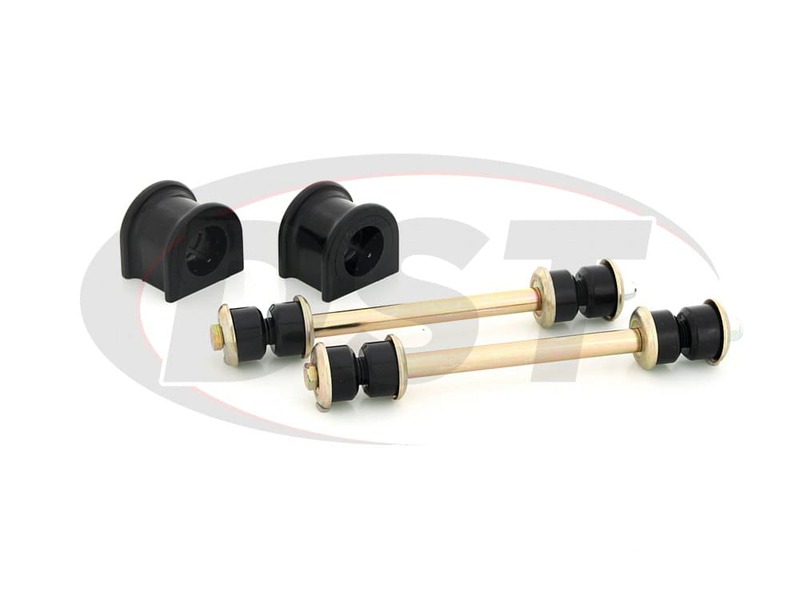 If you want an even more secure front wheel alignment then Energy Suspension manufactures a Front Control Arm Bushing Replacement Kit that covers 1998-2001 Ford Explorers 2/4WD. 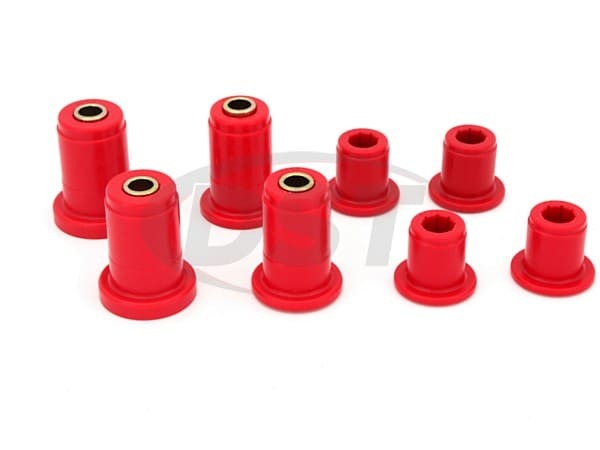 These bushings provide a great alternative to another set of vunerable rubber bushings and gives you a balance between durability, comfort, and performance. A year later, the bushings are holding up fine.\nThat is pretty impressive for the roads here. Pot hole city. Excellent quality. No installation problems. Made to last. Improved handling. When the bushings and end links were installed they completely eliminated all the bumping around that was happening with the original arts that were worn out at only 60000 miles. What are the torque specs for the energy suspension sway bar end links for this vehicle? There is no torque specs because the bushing will compress. Tighten the nut while spinning the spacer sleeve. When you can not spin the sleeve tighten the lock nut an additional 1-2 turns. I am looking to buy Sways bars bushings for the front and rear for a 1998 Ford Explorer, Could you please confirm I have the right parts. Do you ship to New Zealand ?